CreativeLive is our favorite resource for awesome online education for professional photographers. We are featuring our favorite courses in a blog series – we think they will help your art and your business! 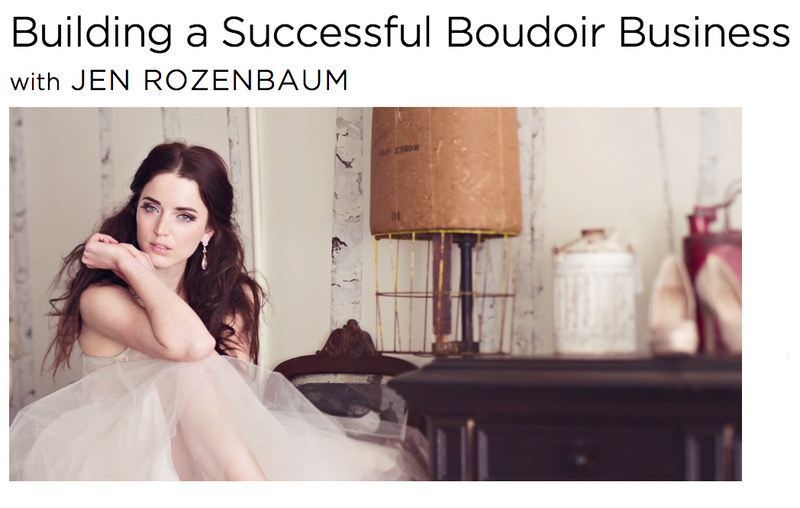 Photographer Jen Rozenbaum didn’t let anything stand in her way when starting her boudoir photography business. She started shooting in her bedroom and built a profitable career from there. In this three-day boudoir tutorial, Jen teaches you how to put the “HOT” in photography and to take your posing to the next level! She will show you step-by-step how to build an amazing high-end experience for your clients — from the first contact to the final portfolio. We recommend this course because through simple posing techniques, Jen will show you how to flatter and thrill your clients, leading to referrals and more business! If you are new to boudoir, or already have a thriving boudoir photography business, you don’t want to miss this CreativeLive course. Jen Rozenbaum is the eye, talent, and force behind Jenerations, NY’s Premier Boudoir Photography Studio. With her unique ability to make women feel beautiful, confident and strong, her clients are her biggest supporters, having gone through what they describe as ‘a life changing experience’ after seeing the results of their portrait session. Empowering women with a renewed sense of self-confidence and beauty is the inspiration and motivation behind Jenerations. Jen has a great clear cut way of delivering advice from her experience. Thanks Jen for enlightening me!